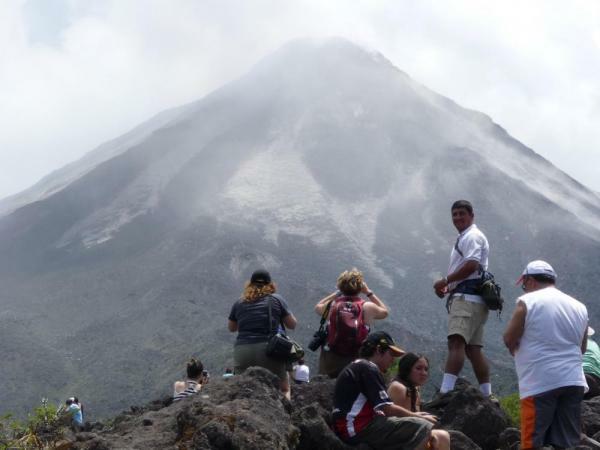 This new Costa Rica multisport tour features 10 days of exhilarating experiences: Raft the Pacuare River, snorkel Cahuita National Park, hike Tirimbina Reserve, and of course soak in hot springs at Arenal Volcano. 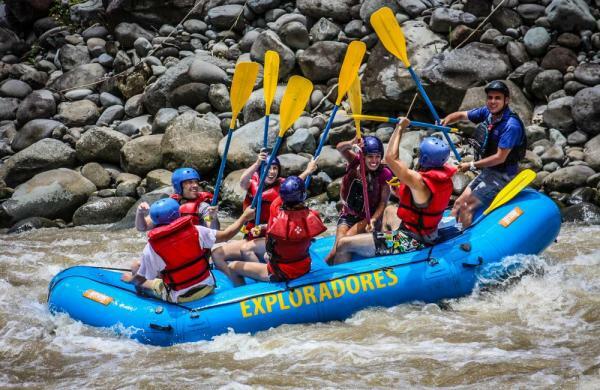 Designed for active travelers with a taste for authenticity, take part in adventure while staying in sustainable lodges, all the while exploring the rainforest and relaxing on the beaches. 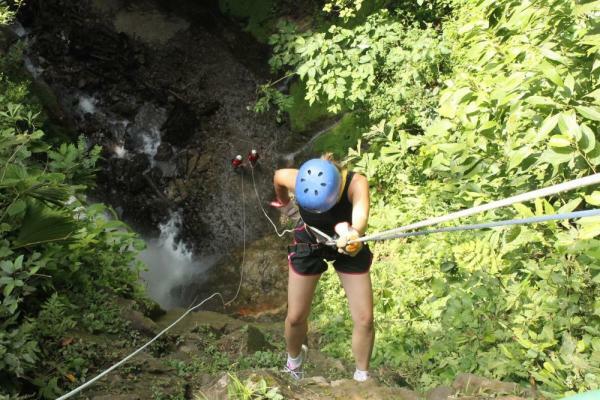 Ziplining through the canopy, kayaking, snorkeling, and rapelling down waterfalls are just a few of the additional activities that highlight this tour. Pura Vida! Arrive in San Jose this evening where you overnight. 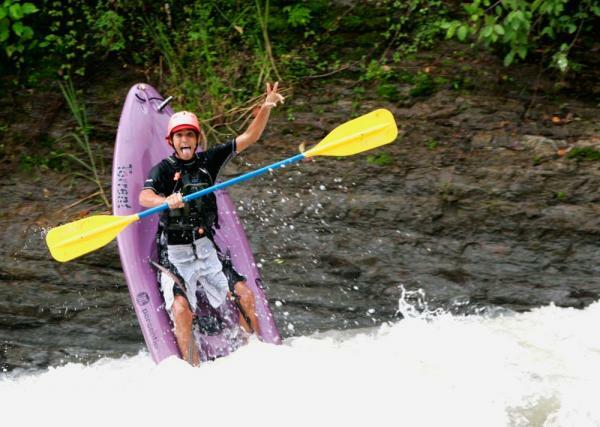 Early this morning you are picked up and head to the Class III-IV whitewater of the Pacuare River. 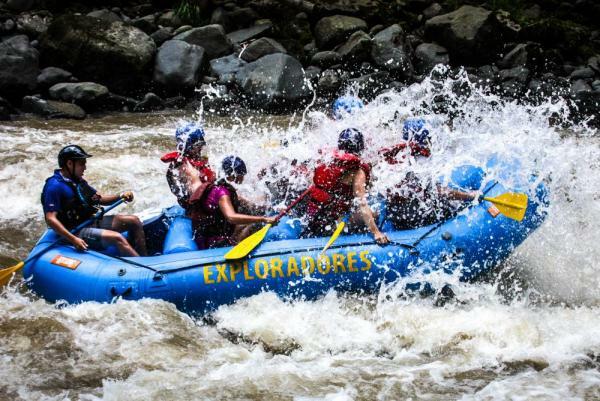 One of Costa Rica’s most exciting whitewater trips, the Pacuare plunges through spectacular mountain gorges and passes through virgin rainforest filled with howler monkeys, toucans, sloths, ocelots, and more. For younger travelers or those looking for a slower pace, you can opt to raft a tamer river. After the take out and a light snack on the river, transfer on to the Caribbean coastal region of Puerto Viejo de Sarapiqui. Here you overnight in a jungle bungalow on the beach and settle in to the Caribbean spirit. Surrounded by thick jungle, you might be lucky to wake in the morning to the loud roar of howler monkeys. Look carefully into the canopy surrounding the lodge and you might be treated to the sight of these loud tropical creatures. 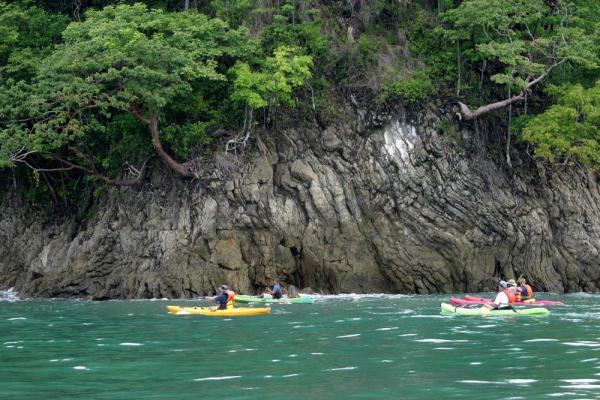 Today you are off to Cahuita National Park for a snorkel tour or sea kayaking tour. With the largest coral reef system in Costa Rica, you have the chance to see a large array of colorful tropical fish, sting rays, and possibly a reef shark or two. 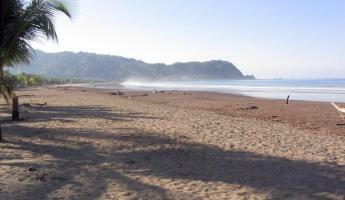 Conclude the tour with an hour-long hike through the rainforest that borders the beach. Keep your eyes peeled for monkeys, sloths, iguanas, and the famed poisonous dart frog. The rest of the time is free for you to arrange activities locally. Go snorkeling, sea kayaking, zip lining, take a rainforest walk, or just hang around the beach and swim in the surf. Your hotel can arrange everything from a trip to a nearby indigenous village to boogie board rentals. You might also choose to just walk along the miles of near-deserted beach. This morning set out for the 5-6 hour drive to Arenal, stopping en route at Sarapiqui to visit the La Tirimbina Biological Reserve. 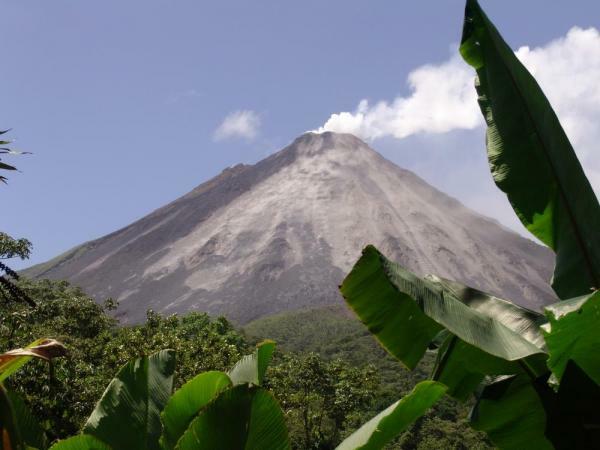 Located within the rainforest and river environments of Costa Rica, this 750-acre tropical science resource combines education, research, and stunning beauty to give visitors an outstanding encounter with nature. The Tirimbina Rainforest Center was founded primarily to preserve one of the few remaining stands of intact, mid-elevation tropical forest in Central America. Through education, the Center has gone further into the process of incorporating the local communities in their conservation challenges. 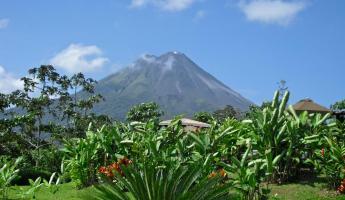 After lunch here and a brief chance to walk through some trails in the reserve, continue on to Arenal. Overnight at a working ranch. 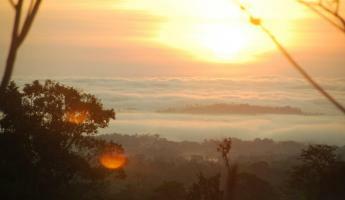 This morning take a 4x4 ride into the rainforest.Watch for wildlife as you make your way to the waterfalls. 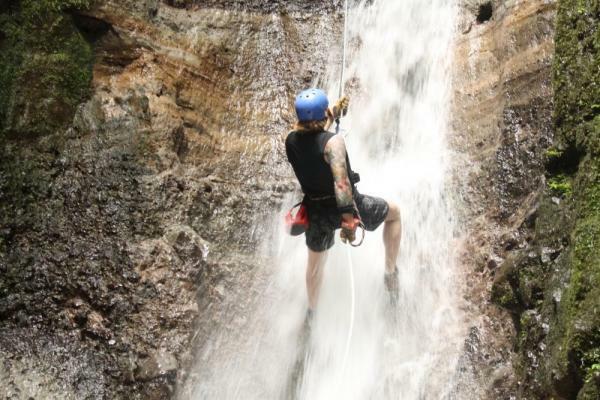 After a brief safety talk and demonstration with your guide, begin to rappel down the first waterfall, whose base leads into a spectacular canyon. From here, rappel down 3 more waterfalls and a rock face. Please note, children weighing less than 100 pounds require an additional fee due to extra assistance required. After your canyoning tour, continue on to the hot springs for a well-earned soak in the varied temperature thermal pools. Head back to the ranch later this afternoon. Today enjoy a free day to arrange activities locally. Your party can choose between either a biking tour or a horseback tour this morning with a box lunch. Spend the rest of the afternoon exploring the surroundings around Lake Arenal, or you can opt to take an additional tour in town. Zip lining, biking, hiking, hot springs, an aerial tram, and much more are optional activities for this afternoon. Early this morning you set out for the 5-6 hour drive towards the Central Pacific coast. This afternoon come to the take out for the sea kayaking adventure. Board in your kayaks and paddle out off the Central Pacific coast, exploring the marine life as you go. You are equipped with snorkel gear so that you can jump off your kayak and browse the underwater world as you like. While this area does not boast a fantastic coral reef system, it can be exciting to see the creatures up close through your goggles, just be careful for waves when you get in the water! This evening continue on to your accommodations, a luxury tent camping experience in the Central Pacific mountains! Today is free to explore the area surrounding your tent camp. You can opt to take any number of optional excursions available at the Rafiki Safari lodge, or you can just explore the pristine rainforest on your own. With more than 800 acres of lowland tropical forest, a variety of self-guided hikes are available from the lodge. You can also try your hand at one of the fastest water slides in the world! Enjoy the morning at the lodge before you return back to San Jose this afternoon. 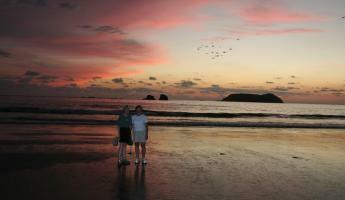 Enjoy your last evening in Costa Rica!